Welcome to 2015! It’s the start of another new year at Victaulic and that means we are gearing up to attend the 2015 AHR Expo. Chicago will be the center of the HVACR universe from January 26-28, hosting 40,000 engineers, manufacturers, contractors and pipe fitting experts from every corner of the world. There is no better place to stay plugged in to the ever-changing industry than AHR. 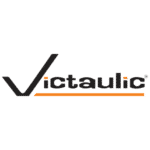 As always, we at Victaulic will be a big part of the show. Look for us at booth #1920 right as you walk into the North Hall. We have an exciting program planned for attendees to check out our latest industry-leading valve products like the new Compact Pressure Independent Balancing and Control Valve TA Series 7CP (Compact-P), the full line of Victaulic grooved piping solutions for accommodating thermal movement in riser piping, our hydronic balancing valve system technologies for heating and cooling, and best in class Construction Piping Services. New from Victaulic, the TA Series 7CP gives engineers the precise ability to design high performance HVACR systems in a compact space and limit overflows. Its high flow capacity and low pressure drop reduce energy consumption, making the system more efficient, less costly and more comfortable for occupants. With increased diagnostic features, the TA Series 7CP ensures system performance meets flow criteria and gives precise data that takes the guesswork out of predicting potential system failures. When the piping system in a high-rise commercial or residential building is exposed to variations in temperature, the pipe will expand or contract. That change can cause the pipe to move horizontally and vertically putting stress on the piping system. The Victaulic line of pipe couplings for HVACR applications are designed to accommodate for this movement. Stop by the Victaulic booth at the 2015 AHR Expo to learn about 3 solutions for accommodating movement in riser piping and learn how engineers can select the right choice based on the type of system and project parameters. Hydronic balancing is key for a piping system to perform at optimal efficiency and provide the most comfortable climate for a building’s occupants. Victaulic representatives will be on hand at AHR to show attendees how its balancing valves, Koil-Kit™ coil packs and differential pressure controllers can help projects of all sizes optimize energy efficiency and reduce costs by operating pumps at minimum loads to reduce maintenance needs and extend the life of the system. We invite everyone attending the 2015 AHR Expo to visit our booth and look forward to what is sure to be another exciting and successful event. If a trip to the Windy City for AHR isn’t on your agenda, don’t worry, we’ll have you covered.